For those who like to join in with activities alongside other, like-minded people, there is a lot to try. Some activities are organised by staff members and others by residents themselves. We are open-minded and if there is a new idea, we try to support it whenever possible. Lots of our residents enjoy getting out and about. Regular trips are arranged to ensure that they can enjoy all that the North East has to offer, as well as keep up to date with practical tasks such as shopping and attending appointments. Middleton Hall has two cars and two mini buses. One of each is wheelchair friendly. 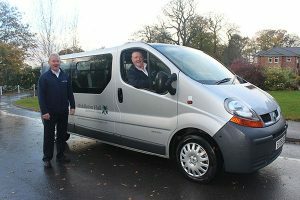 There are three Middleton Hall drivers, who know the residents well and are happy to help them get around. 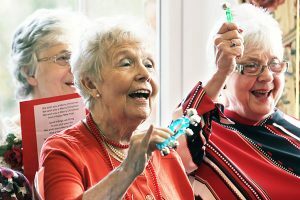 For residents in Middleton Grove, Middleton Court, Middleton Gardens and Middleton Oaks, there are weekly trips to regional places of interest, with at least a cup of tea or coffee and a cake at the final destination! Transport for these residents is also available for all doctor, hospital and dental appointments. A varied schedule of shopping trips for different groups of residents is arranged to Darlington, Yarm, Northallerton, Teesside Park and Middlesbrough.